Chances are you’ll know Margaret River for its prolific and well-respected vineyards that are busily producing some of the most exciting and innovative vintages in the world. The Mediterranean-style climate of the Margaret River region, three hours south of Perth, creates near-perfect grape-growing conditions, while the swells of the Indian Ocean provoke some of the best surf breaks anywhere in the world. The waters of the dramatic coastline from the small hamlet of Yallingup down to the Margaret River domain host migratory whale pods, where we were regaled with columns of water shooting skyward from humpback whales and dolphins spiralling in the surf, along with countless kangaroos, possums, blue-tongues lizards and splendid fairywrens – and that’s just the wildlife. 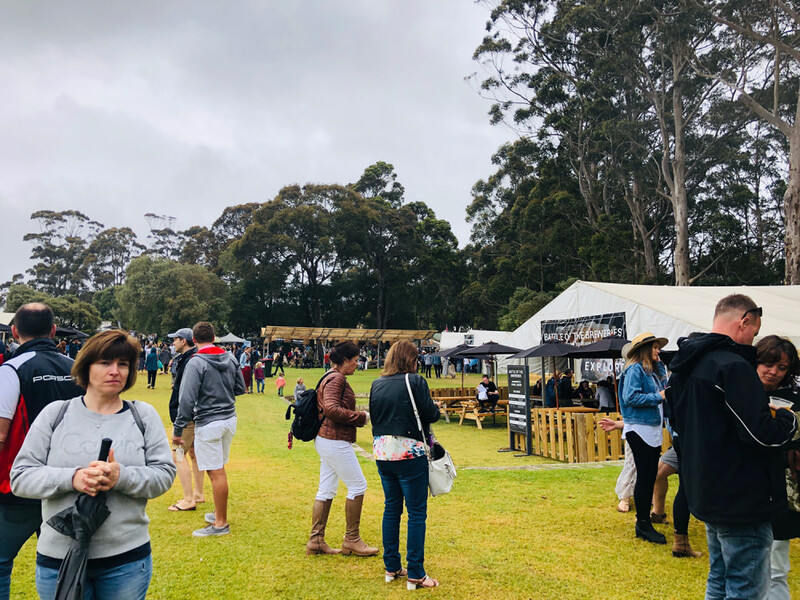 The people here are incredibly welcoming, and alongside the wineries and boutiques that charm the region, an array of craft breweries are cropping up that cater towards family meals. The wines are equalled by the impressive cuisine that is local, seasonal and executed faultlessly by some of the best chefs in Australia. Our trip took place on the cusp of the summer season, towards the end of November, which offered up balmy beach days and crisp evenings, ideal for terrace dining and vineyard visits and the ability to take in the Margaret River Gourmet Escape, an annual dining festival that draws in legendary chefs and a plethora of food-tourism events to the area. 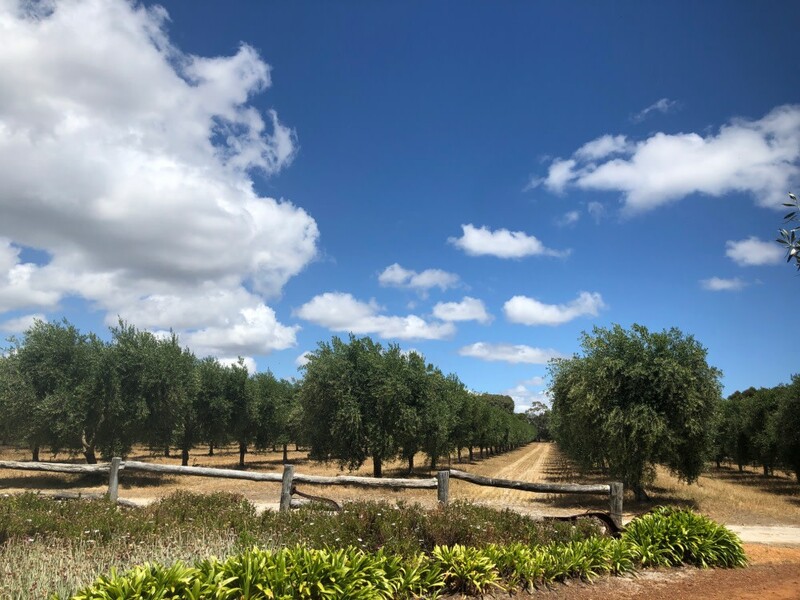 This sprawling food festival, laid out over the vast territory of Leeuwin Estate, a beautifully groomed vineyard, was our first introduction to the Margaret River Gourmet Escape. The grounds were elegantly arranged with rows of tented tasting stalls of food and wine vendors, in addition to live music, talks and masterclasses and a live cooking studio stage, with chefs like Tetsuya Wakuda, Ashley Palmer-Watts and Nigella Lawson showcasing their culinary skills for the crowds. 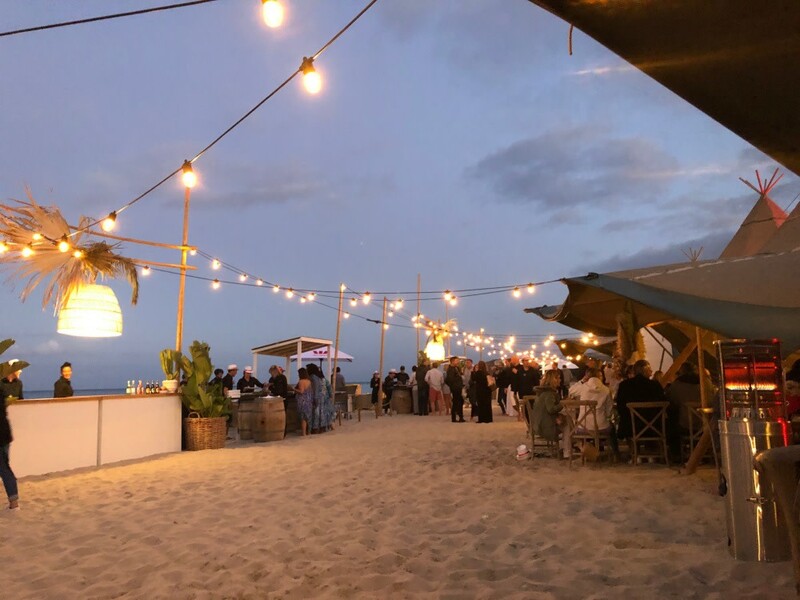 The heart-stirring shores of Castle Rock Beach, adorned with grand tepees, simple strands of lights and showstopping fish-filled barbecues, provided a glorious setting for the final event of the three-day Gourmet Escape. 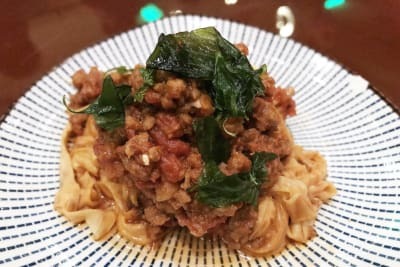 It was topped off by the charming banter from the hosts, the beloved father-and-son chef team of Rick and Jack Stein, who good-naturedly ribbed each other throughout. To the delight of the surrounding guests, Rick commented on the differences between cooking in the UK and Australia, saying, “Eating seafood by the sea is a whole lot different than eating it by the Thames,” while Jack quipped, “I used to do it differently, until I realised Dad was right all along.” They explained the food they had prepared, which included dishes of swordfish, mussels, squid, potatoes and pomegranate-topped salads, posed graciously for photos and took part in lengthy chats with their fans. Fresh seafood and free-flow wine with your feet in the sand in the company of legendary chefs made for an epic event, alone worth travelling for. For breakfast, head to this little hamlet in the dunes of Bunkers Bay with the clearest water and whitest sands you’ll ever see. 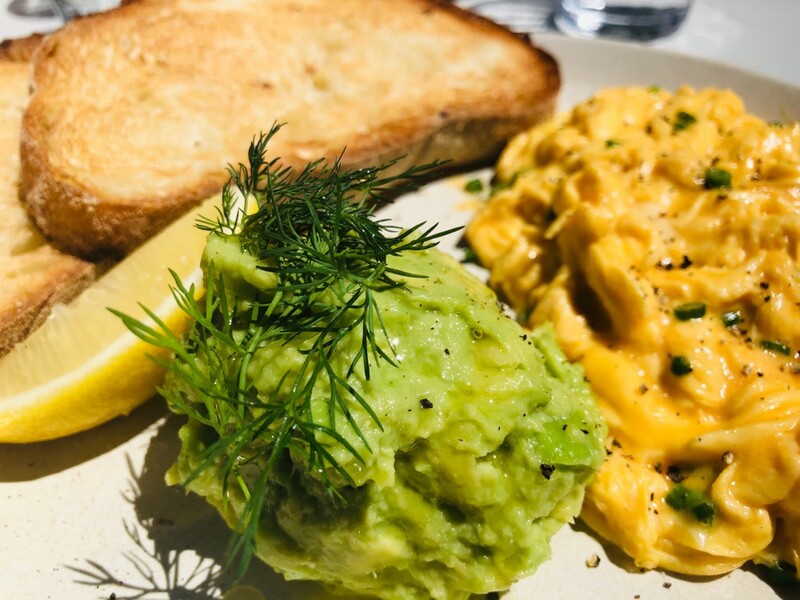 It’s an exciting whale-watching spot and the perfect place to enjoy a fresh baked muffin, yolky eggs, Tasmanian smoked salmon and avo toast or some audacious vanilla waffles with caramelised banana and honeycomb butter. This South African eatery in Yallingup was buzzing even on a Tuesday night. Hearty portions meant welcome leftovers of the memorable blackened red snapper and house-speciality spare ribs with thick-cut chips and seasonal stir-fried veg. There was no trace left of the chilli mussels that were gone in minutes – a must if visiting this atmospheric restaurant overlooking a lake and an art gallery, surrounded by ‘roo filled forests. You’ll want to stop for a picturesque view of the splendour surrounding this recognisable red coffee van. You can catch up on all the local goss’ while enjoying a freshly ground, strong and creamy bespoke coffee from Mark Balinski, while his wife, Shelley, has a selection of nourishing cakes and cookies to munch on while you wag your chin. In the town of Dunsborough lies a gold mine of a restaurant, unassuming from the exterior and a culinary wonderland inside. 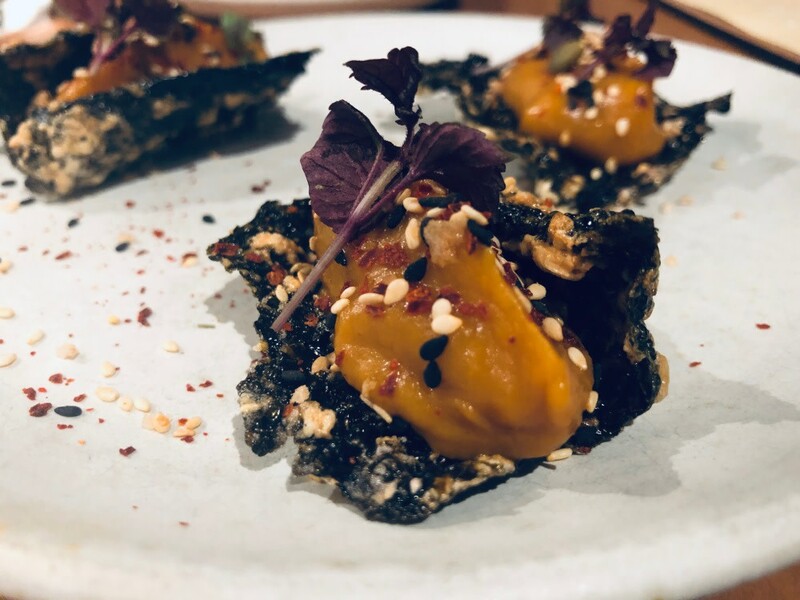 Open for less than a year, this open kitchen is devising world-class cuisine like burnt pumpkin on nori cracker spiced with togarashi, kingfish with sesame adorned with lush green strawberries and wood-grilled prawns with saltbush and XO sauce. 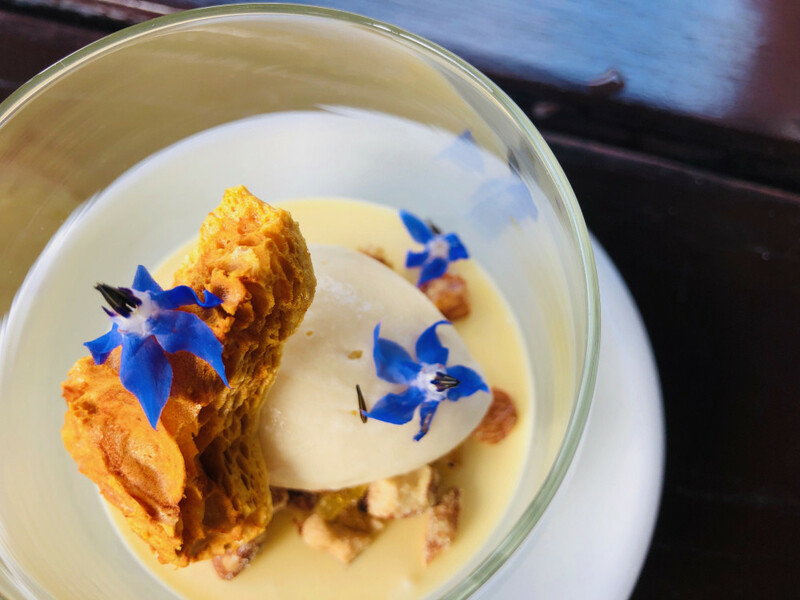 Yarri uses sustainable ingredients from small producers, reflecting the six seasons of Western Australia’s Nyungar people, and delivers incredible service, with wine recommendations paired expertly with their divine and daring dishes. 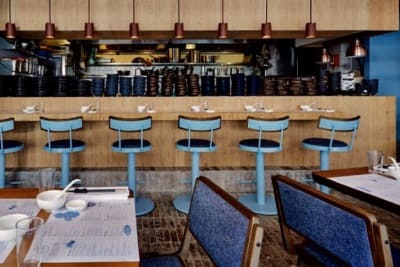 Although we didn’t get a chance to dine here, we stopped by to marvel at the stunning estate and to check out the incongruently uber-cool surf museum and collection of retro muscle cars, along with the kitsch neon-flecked Bridget Bardot–dedicated Riviera Bar. This charming biodynamic winery navigates its grape growing by the moon and stars and makes its cuisine from what’s sprouting in its spiral garden. The fascinating story behind this family-run, naturally powered and carbon-neutral estate is worth further delving into if you get the chance. 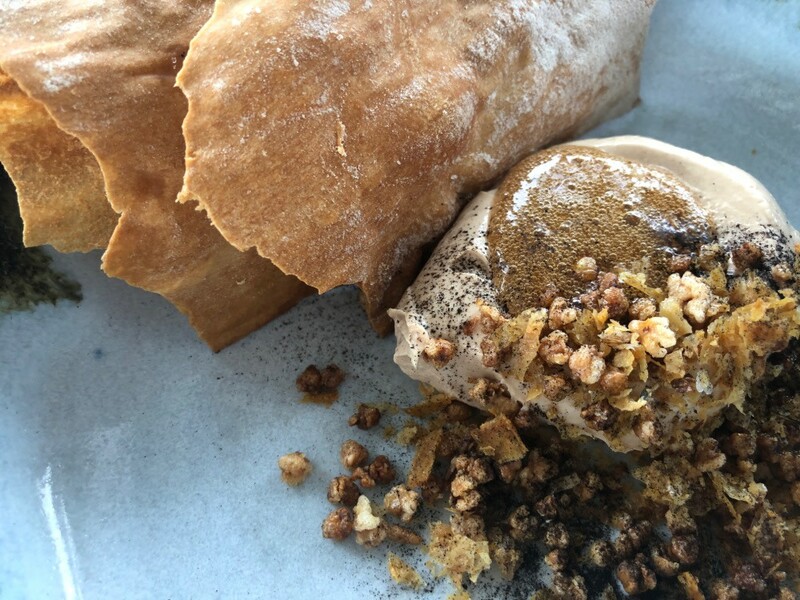 We tasted the sublime potted rabbit served with grilled chicory, gribiche and sourdough crispbread, as well as a dessert made from the honeycomb of the on-site hives. Then we tried the wine. The minimal intervention and natural techniques make for undeniably beautiful wines that are equally as captivating as the food from this lovely estate. We popped into this intimate cellar for a taste of their eccentric wines, all dubbed into character profiles related to the flavours they exude – Lady Chardonnay, for her “white peach and nectarine skin and playful citrus in her eye, dressed in layers of creamy silk underpinned with steely structure”, Lord Pino’s, “the beloved uncle, dressed in weighty velvet, with his cologne leaving hints of briar and brambly aromas”, and the Hon. L.T.C., “a superb companion with whom to enjoy fresh seafood”. The wines are as enchanting as their descriptions, and we were fully charmed. Our first cellar door visit was an impactful one. We chose to induct ourselves at the very first winery in the region, established in 1967, but one that has aged like a… well, you know. The wines are renowned as national benchmarks, and we discovered our favourite Semillion Sauvignon Blanc here as well as a spectacular Heytesbury Chardonnay that made a lasting impression. The estate also houses an art gallery offering ever-changing exhibitions and a sculpture walk throughout the grounds. The restaurant produces striking dishes like a decadent duck parfait with crisp chicken skin, chitarra pasta with walnuts, broad beans and Pecorino crowned with flowers and an elegant pairing of pork with seaweed, miso and eel – dishes that are still roaming around and reappearing frequently in our ever-present food recall. This gourmet shop churns out abundant varieties of table olives, tapenades, pestos, dukkah and seasonal jams. Produced in small batches in-house, all are gluten and preservative free. A selection of handmade olive-wood kitchen utensils and boards, olive oil toiletries and hand-painted ceramics make great gifts for those back home. This shop is worth a detour just to wander the aisles, perusing all the chocolate-covered madness on offer. Have a peek through the chocolate window and watch the magic makers at work, sip on hot chocolate or sample the goods from the giant buckets of milk, dark and white pastelles. Trying to tear yourself away will not be as smooth as the chocolate you encounter. If you’re too short on time to visit all the farm shops in the area (make more time! 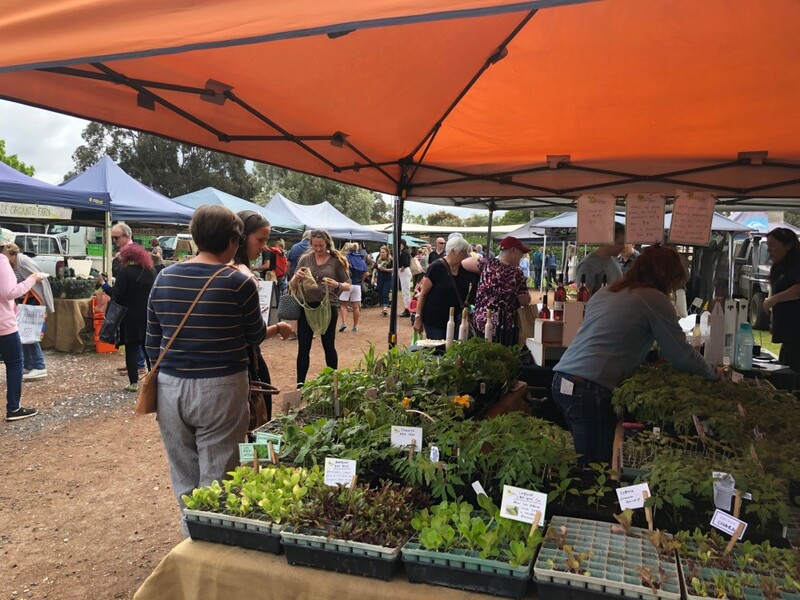 ), you can get a good dose from the Saturday morning Margaret River Farmers’ Market. With around 50 stalls showcasing the best of the region, from fresh produce, to local wares, to homemade goods, everything tastes amazing. It’s all about appreciating the fruits of the fertile soil of the region, sustainability and minimal food miles here. 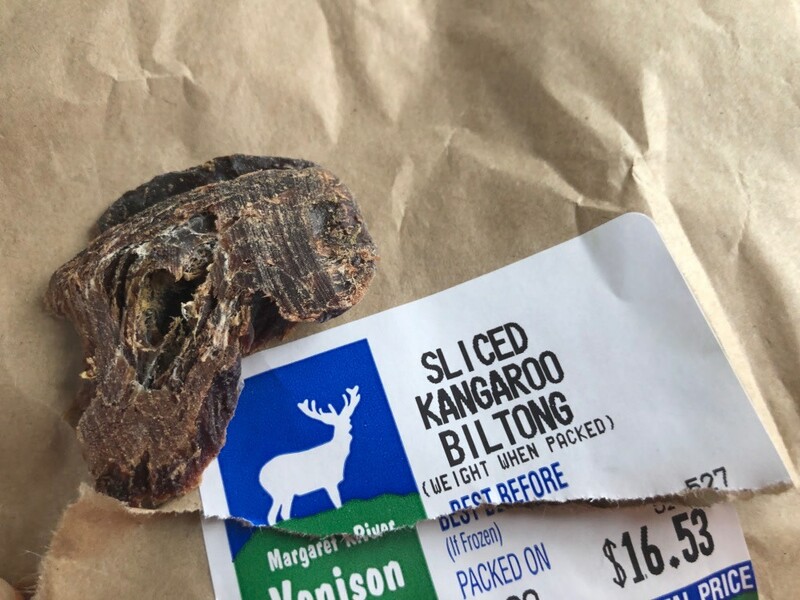 If you’re keen to try some local Aussie game, stop by Margaret River Venison. Grab a bit of kangaroo biltong, emu salami, crocodile chorizo or venison in various guises from this sweet little farm shop. This shop is heaven for home cooks. 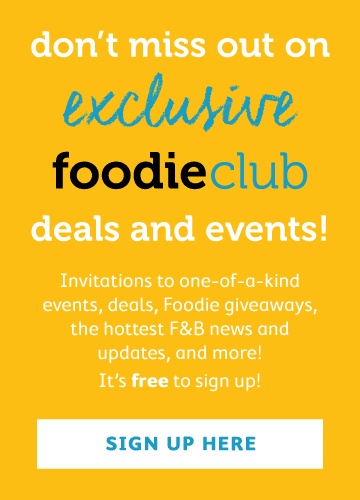 With infused olive oils of every description – from blood orange to lemon – fresh syrups of fig and vanilla and raspberry and cherry balsamics, you’ll want to take it all home. 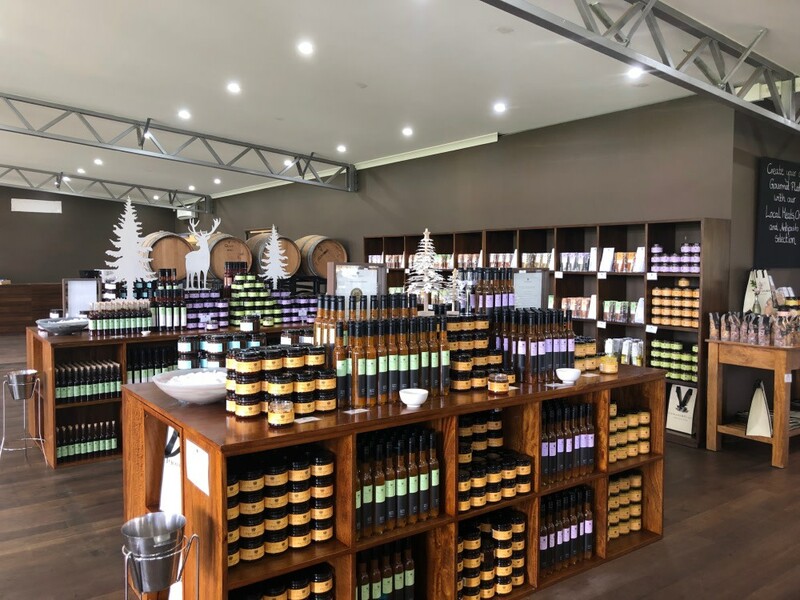 Wines, liqueurs, jams, dressings, spice mixes and cookware – you’ll need an extra luggage allowance after visiting this award-winning wonder shop. Show up at the right time (around 4pm) and you’ll be able to grab the bread warm and fragrant the minute it comes out of the oven. Soft-interiored bricks of white, rye and fruit loaf are the livelihood of this German baker, who supplies local shops and restaurants straight from his wood-fired volcanic stone oven. Special thanks to Rob and Claire Schlipper for the most magnificent unofficial tour of Yallingup and the Margaret River region. It is an incredibly special place where enchanting food, wine and memories are made.